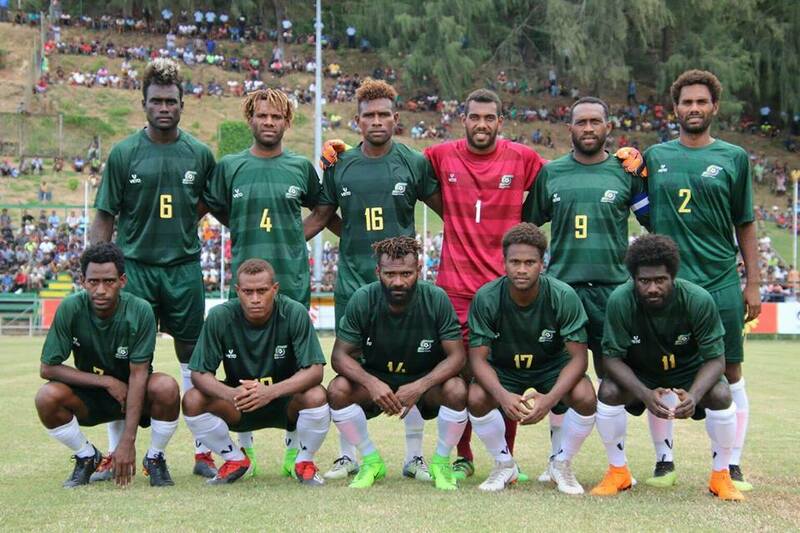 Solomon Islands caretaker coach Moses Toata has had highly rated the win against Vanuatu as a vital result heading into the away international friendly with Chinese Taipei on Sunday March 24, 2019. Toata and company edged Vanuatu with a 3-1 victory on home soil in front of a half full Lawson Tama Stadium in Honiara on Monday March 18. An early goal by Labasa striker Dennis Ifunaoa was canceled out by Kensi Tangis inside opening 20 minutes of the encounter. Both teams went into the sheds with a 1-1 scoreline but the hosts introduced poster boy Micah Lea’alafa in the second half who made an instant impact with goal to his name before captain Benjamin Totori sets up Joses Nawo who puts the game to bed with a third for the Solomon Islands. Speaking after the match, Toata said his lads deserved the win despite a strong display from the visitors. “It was an important win for us in the back of the negativity going on in the media,” he said. Lea’alafa arrived an hour before kick-off with doubts of playing in front of the home crowd but Toata brought on the talisman in the second half to raise the tempo of the game. “Micah for me is an important player, I have always said in the previous interviews Micah is the best player in the country right now. “I am happy that he has accepted to come to join the boys and his impact on the game is obvious,” Toata said of Lea’alafa’s key role for the hosts. Solomon Islands will be full of confidence taking on Chinese Taipei only for the second time since 1999 when both teams last met in Honiara. Toata is wary of his team’s defensive structure apart from their attacking ability. “If you look at the composition of my team, its very attacking team I would say. “So we have to really work on our defensive side, we scored one goal and in the same minute we concede one goal, for me it’s a defensive blunder and we need to work really hard on the defensive playing a different side like Taiwan who are part of a much higher confederation,” the former Solomon Islands international said. His opposite number, Vanuatu coach Paul Munster was impressed with his team’s fighting spirit but he admitted that his team couldn’t cope with the hosts in the second half. “It was positive in the first half, disappointed we conceded in the first half but I like that we came back, keep fighting to score the second,” he said.